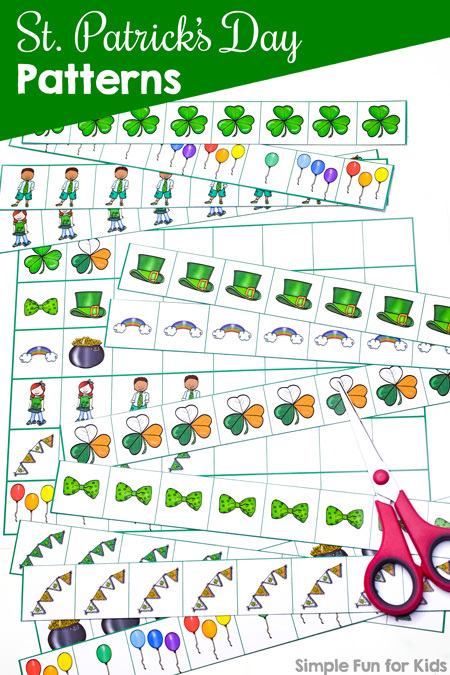 It’s day 6 of the 7 Days of St. Patrick’s Day Printables for Kids series, and we’re almost done! If you’ve missed any of the previous printables, you can find them all on the main landing page for the series here. 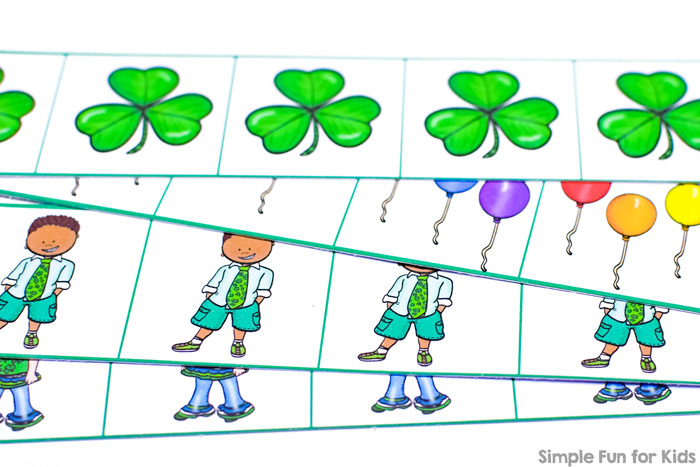 Today, I have some St. Patrick’s Day Patterns worksheets for you. 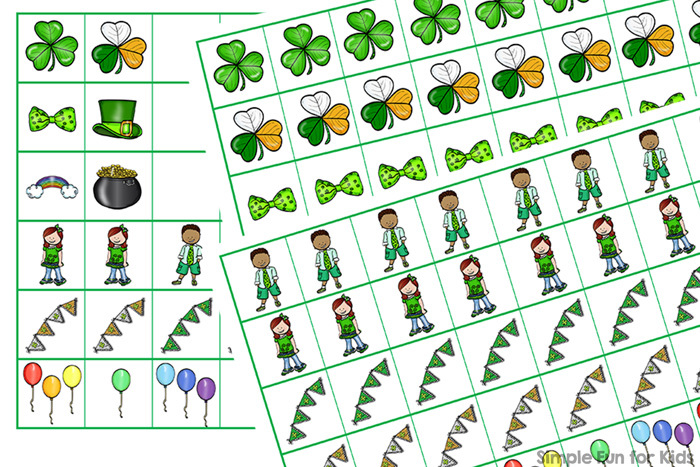 You can work on AB, AABB, and ABC patterns or make your own more advanced patterns with cute St. Patrick’s Day images. 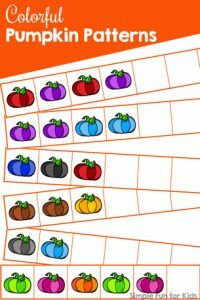 One page shows six different patterns to be completed (three AB, two AABB, and one ABC pattern). 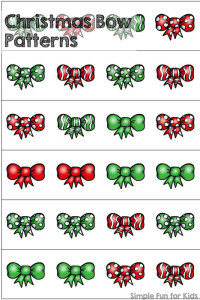 The next two pages provide enough copies of each image to complete the patterns or make your own. On the last page, there’s a blank grid to help with making your own patterns. You can cut the page with the six different patterns apart at the thicker green lines to make pattern strips that are easier to handle. If you provide scissors and glue, you can make this a cut and paste activity. 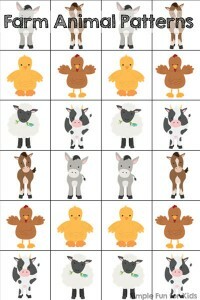 Or cut the extra images ahead of time and just have the kids lay them down on the grid for a reusable activity. 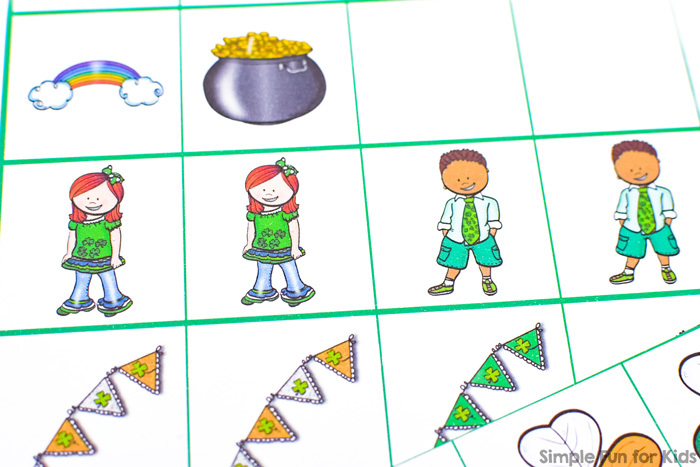 Download your free St. Patrick's Day Patterns printable! Sign me up and give me my printable! Or click here to see this page on my membership site, become a VIP member today, and download the entire series with one click! My St. Patrick’s Day 4-Piece Puzzles and R is for Rainbow Handwriting Letter Mazes use the same set. 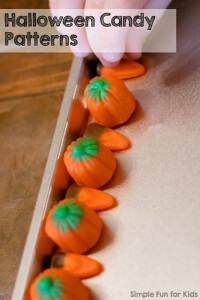 Are you looking for other pattern activities? Here are a few! I love your ideas and clip art. Have you ever thought of doing Sunday School themed ideas. 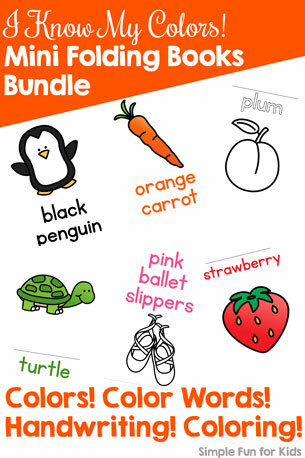 I teach 3 year old’s and they would love your wonderful clip art and activities especially in a story line. It is very hard to find a curriculum geared to their age level. Hi Marcia, thank you for the kind words and the great suggestion! I’ll be sure to look into it.